A number of new tools were introduced in Flux™ 12.3, which enabled the import of 3D meshes directly from HyperMesh® and SimLab®, bringing new capabilities for CAD geometry simplification and meshing. Flux 2018 improves the existing workflow, bringing more flexibility as well as making it applicable to any type of application. It is now also easier to benefit from the computing power of remote clusters thanks to the connection of Flux with PBS Works™, Altair’s industry-leading workload manager and job scheduler for high-performance computing. The coupling with OptiStruct ® for mechanical design has been updated with the new version. 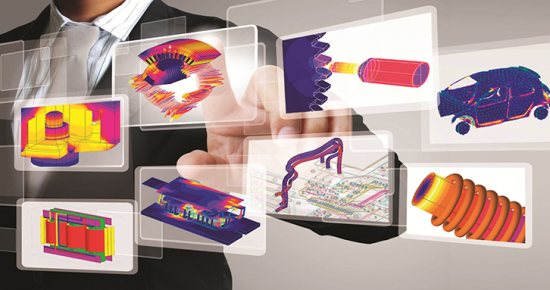 For vibration analysis of electric machines, the post-processing capabilities of Flux have been extended with more options in the data visualization and export.